When someone you love goes to jail, you might feel lost, scared, and even mad. This colorfully illustrated book lets children know that they are not alone in this situation. It offers age appropriate explanations to help with difficult conversations. Told from the experience of a rabbit, this picture book is intended to make a parent's incarceration a little less frightening. 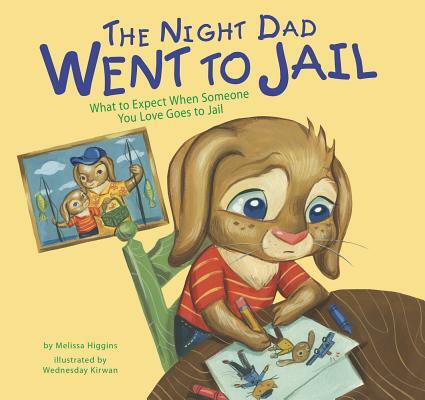 Melissa Higgins has written more than 25 nonfiction and fiction books for children and young adults, including The Night Dad Went to Jail: What to Expect When Someone You Love Goes to Jail. While her wide range of titles reflects her varied interests, she especially enjoys writing about issues related to children and mental health. Before becoming a full-time writer, Melissa worked as a school counselor. She lives on the northern California coast with her husband.